My beloved Bhauja (wife of journalist Barendrakrushna Dhal) just passed away in a private clinic at Bhubameswar. I fail to describe the grief that has instantly engulfed me and my wife. Do not know how to console Barendrakrushna, whom I call only’ Bhai’. Those who know them, know how immensely deep was the oneness of the couple. Before rushing for his house, I see my son Saswat clicking the FaceTime link. Dear friends, her name was Sneha and she was personification of Sneha (affection). Comrade A B Bardhan (1924-2016) was not just the foremost communist mass leader of India who raised working class consciousness among millions through his oratory and organizational persistence, he was also the Marxist historian who accounted peoples’ struggles like no one else had quite done. “Official histories are apt to pass over in silence the role of the working class in India’s freedom struggle. They depict the freedom struggle as a series of events determined and influenced by individuals from the upper strata of society, who reacted against the humiliation and oppression of foreign rule, and moved the masses in their wake. As to the workers and working people, they were considered either too weak or ignorant to play any role in this struggle, or concerned themselves with the more immediate problems of mitigating exploitation and improving their lot. “Neither Gandhi or Nehru nor the hundreds of martyrs who climbed the gallows for independence – none of them gave their lives for a Hindu nation. We who uphold the red flag – we respect all religions. For the identity and ego of one religion, you cannot attack and break the identity and faith of another religion. In Hinduism, there is both tolerance as well as intolerance. There is humanity, but there is also a caste system. That is why for years saints and enlightened ones have tried to bring in reforms. They raised their voices against casteism, but even today caste remains. Today a new effort is being made to share power with those who were always kept out of Government, those who were considered only fit to be servants. Today an effort is being made that they too get a chance to help run the country. But the very forces who wish to preserve Hindu fundamentalism and unfurl their flags over destroyed mosques, these very forces swear by the caste system. Elements welcomed Comrade A. B. Bardhan, the veteran Communist of India at the age of 92 on January 2, 2016. A Communist never dies. For all time to come, he continues to inspire whosoever works for a better world to live in. Live, despite death, forever dear Comrade. Statues of former Estate owner Kshirod Chandra Kanungo and his wife Mahindramani Kanungo were installed today in Salagan near Chowdwar in presence of Justice B.P.Das, Justice B.P.Roy and Justice Shatrughna Pujahari. Sri and Smt. Kanungo had passed away on August 10, 1999 and May 11, 2001 respectively. Both of them were highly humanitarian in nature. They were of immense spiritual quest and to them, education was the only way to emancipation. Hence, they had always helped whosoever was deserving help to have education. Their memory will never grow cold”. The event was a collective act of the children of Late Kanungo and of his beloved sister late Chhayamani Mohanty (wife of late Kishore Chandra Mohanty, OAS of Kakata, Kendrapada): Their eldest son Er. Bijay Kumar Mohanty (Chief Engineer Electricals Rtd) and his wife Smt. Priyambada Pattanayak (Reader Rtd), 2nd son Ashok Kumar Mohanty (Reader, Rtd) and his wife Smt. 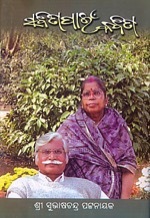 Basanti Mohanty, 3rd son Dr. Binaya Kumar Mohanty (Associate Prof. Endocrinology) and his wife Smt. 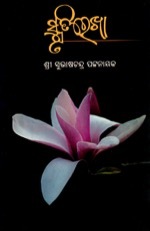 Supriti Mohanty (Reader, Rtd), 4th son Dr. Amiya Kumar Mohanty (Addl. Director HE Rtd) and his wife Smt. Nirupama Mohanty, Eldest daughter Smt. Shubhalaxmi Mohanty and her husband Deba Prasad Mohanty (Central Govt. Audit Officer Rtd), 2nd daughter Smt Bhagya Laxmi Mohanty (Reader) and her husband Dr. Ajaya Kumar Das (Reader) were conspicuous by their active role in the function. Grand children and great grand children of both the Kanungo and Mohanty families – from brothers and the sisters – were present. Bijay and Priyambada’s grandsons – Ayananshu and Amrutanshu – recited Vedic hymns as the Statues were unveiled by the three hon’ble Judges. Senior members of extended family such as Ullas Kanungo, Birendra Kumar Kanungo, Smt. Charulata Kanungo, Jagdish Kanungo, and Rituraj Kanungo were facilitated. At the podium of the statues, a village park namely Dadhibabana Udyana was inaugurated to mark the event and a health check up camp was held by Star Club of Salagan in collaboration with Age Care Associate, Bhubaneswar. As many as 950 patients from nearby villages including Salagan received free medical check up and advice, particularly in endocrinology from a team of eminent physicians such as Dr. G. C. Nayak (Medicine) and Prof. Dr. Binaya Kumar Mohanty, Dr. Soumyasudha Mangaraj, Dr. Debarttan Jena and Dr.Pratap Mishra (all endocrinologists). The health camp was inaugurated by the President of District Board Prasanta Kumar Behera. Chief Guest Justice Bimal Prasad Das paying a glowing tribute to the late couple, lauded the family unity witnessed on the occasion and praised the people of the locality for their pure participation in such inspiring programs. Brilliants students of the locality were conferred with Kshirod Chandra Kanungo Memorial Award, Mahindramani Kanungo Memorial Award sand Minati Kanungo Memorial Award. For these three awards, Rasmi Ranjan Satapathy, Gnana Ranjan Mohapatra and Jaya Prakash Swain were selected respectively on basis of their school performances. Famous Singer Ms. Anindita Das sung a few songs in honor of the revered couple. Volunteers such as Rajat ranjan Das, Lalatendu Das, Soumya ranjan Das, Shubham Panda, Kamalesh Sahu, Pintu Behera, Sunita Mohanty, Krushna Chandra Behera, Rakesh Das, Biswa Bimohan Das, Dharmendra Choudhury made the event a grand success under the leadership of Tusarakant Kanungo and Gutu Kanungo, President and Secretary respectively of the Star Club. Prof. Surangini Mishra, retired from Orissa Education Service, passed away today at the age of 73. Her husband, noted writer, academic and editor Prof. Ganeswar Mishra had passed away around two and half months ago on 10th of August. 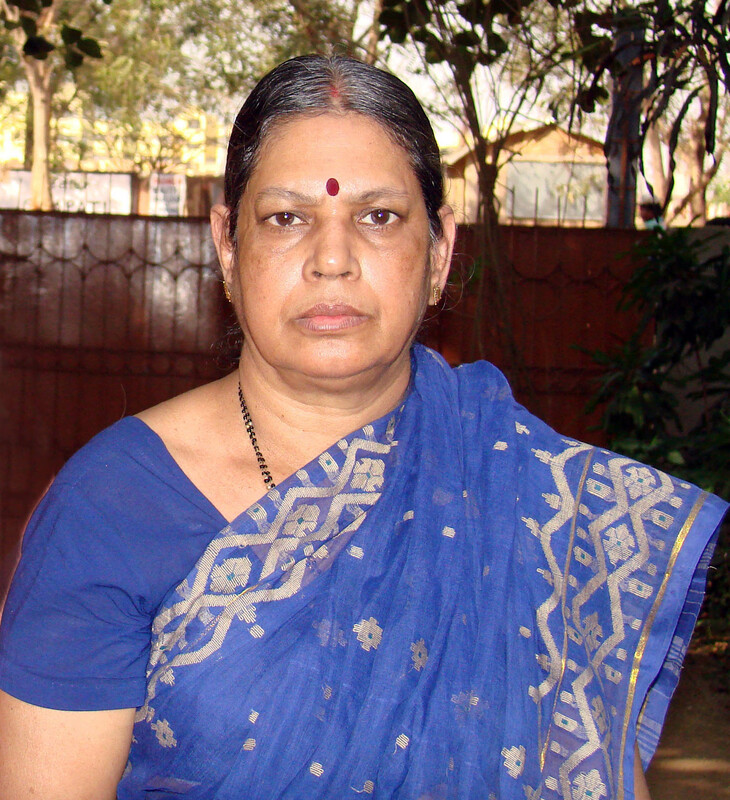 She served in eminent higher education institutes of Orissa, such as the BJB College, Rama Devi Women’s College of Bhubaneswar,Gangadhar Meher College of Sambalpur, Fakir Mohan Mahavidyalaya, Balasore and Bhadrak College as faculty in economics. She also taught Economics in Regional College of Education, Bhubaneswar. She was educated in SCS College at Puri, Ravenshaw College at Cuttack, Utkal University, Bhubaneswar and University of Kent, England. 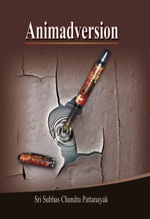 She published several academic papers and an autobiography, Nija Katha. She is survived by three sons and four daughters in law. Her second son Siddhartha, a renowned sports journalist, had passed away on October 30, 2012. Her youngest son Sandeep Mishra is editor-in-chief of News World Odisha. In her demise, Orissa has lost an epitome of goodness. 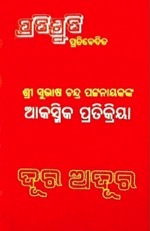 Prof. Ganeswar Mishra, former Professor in English, Utkal University is no more. The eminent author, thinker, founder editor of Prameya, a man of immense patience, of unfathomable friendship, of deep concern for the society, a man of matchless strength to overcome debacles is lost to Orissa. He passed away this early morning leaving family members. innumerable admirers, friends and relations to mourn. 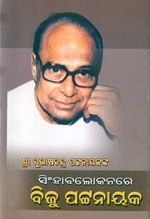 Author of 30 books in English including 25 research papers mostly on Aspects of Translation, Indian and Commonwealth Literature published in India and abroad, he had written 50 books in Oriya spread over all major areas of literature like Novels, Features, Translations, Travelogues, Book Reviews, Essays and Poems. 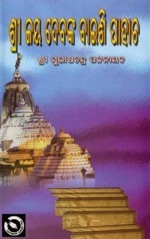 Many of his Oriya works have been translated into English and several Indian languages. He was Commonwealth Academic Staff Scholar, University of Kent (U.K.) from 1974 to 78; Commonwealth Academic Staff Fellow, University of London (U.K.), 1983-84; British Council visitor to U.K. in 1989. Very many award winners in the field of literature, he was awarded with Senior Fellowship in Literature by the Government of India for 1992-94. Professor of English, Utkal University (1986-2002) he was President of Orissa Sahitya Akademi from 2005 to 2007, during which period, he headed the Project Committee of Oriya Bhasa Pratisthan. he had earned his Ph.D. in English and American Literature from University of Kent (U.K.) in 1978; yet he was a Praveen in Hindi from Hindi Rastrabhasha Parishad. 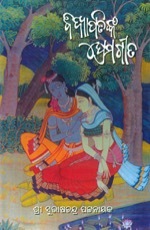 “MRUTYURNASTITI” (There is no death) has said Sanatsujata in Mahabharata. “DEATH IS DEATHLESS” has said Buddha. I hope, Sriman Sandeep Mishra, the worthy son of this illustrious father, will appreciate this ancient wisdom and convince his entire family to feel Prof. Mishra as omnipresent hereafter always. I stand in silence in his honor. 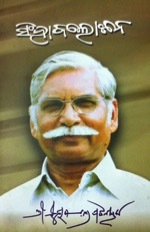 Long live Prof. Mishra in our hearts, live for ever. I will not write any obituary on former President A.P.J. Abdul Kalam, who passed away this evening at around 6.30 at Shillong. He had made India’s first citizenship the most perfect by becoming the 11th President of this Republic from 2002 to 2007. Bharat Ratna given wrongfully to some under political manipulation, was most rightly conferred on him. Known as India’s missile man, in his own words, he was a “learner”. He, according to his last tweet, had gone to “take course on Livable Planet Earth at Indian Institute of Management”. I will not write any obituary on him; because, HE IS THE ONLY MAN OF OUR TIME WHOM DEATH CANNOT MAKE DIE.